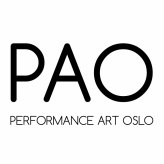 PAO presented a showcase of performances in downtown Oslo for Kulturnatt. Featuring a diverse collection of Oslo based artists as well as two visiting performance artists from Spain, the performances were site specific works in the public space. All of the works were uniquely shaped and influenced by the culture, identity and cityscape of Oslo as the meaning of performance art is highly responsive to space, context and audience.